Posted in Iraqi constitutional issues, UIA dynamics | Comments Off on Sistani and Maliki: Towards a More Active Role for Najaf? Centralism and Unitary State Logic in Iraq from Midhat Pasha to Jawad al-Maliki: A Continuous Trend? 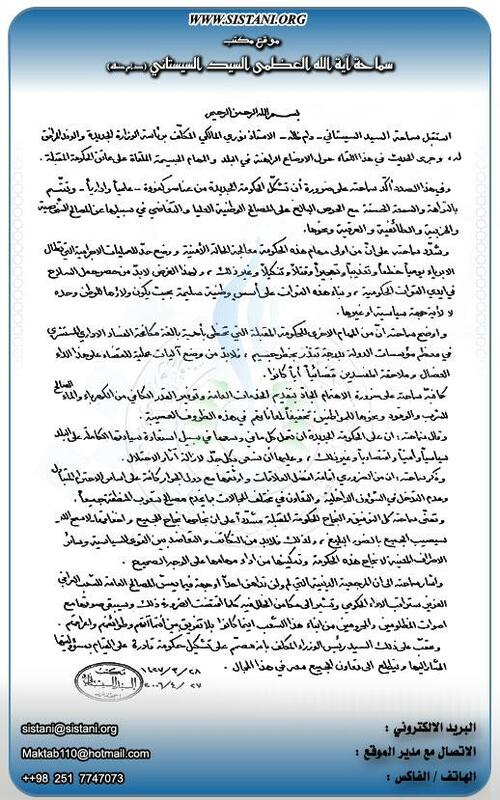 Posted in Iraqi constitutional issues, Iraqi nationalism | Comments Off on Centralism and Unitary State Logic in Iraq from Midhat Pasha to Jawad al-Maliki: A Continuous Trend?